This window has been removed from the original frame and is now resplendent in unfinished pine picture frame. This frame could be stained and finishished to to suit your decor if required. Of English origin from the mid 1900s. 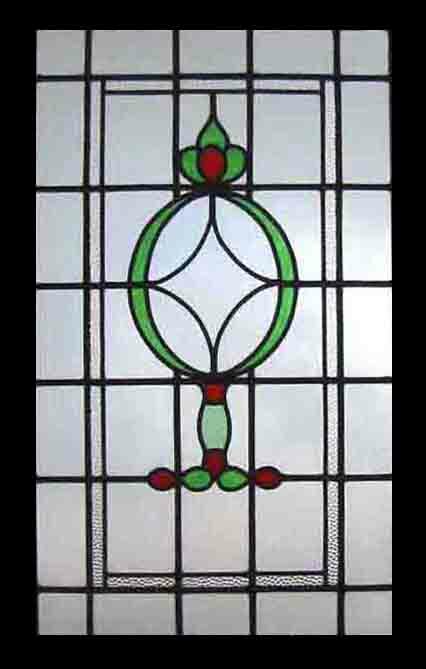 The coloured glass of this window is particularly bright and lusterous.. The glass has no chips or cracks and the leading is in good order. The over all condition is excellent. Frame measures 21"W x 46 1/2"H Glass section measures 18 1/2" x 44" This Antique Window Shipped and packed to USA for Full insurance $109 You can buy this now using the paypal link below the photograph or e-mail sales click here to arrange payment by personal check ,money order or bank transfer.